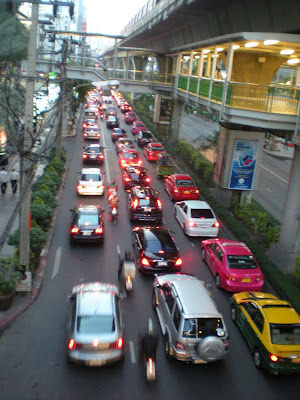 In Christmas 2009, my parents were still living abroad, so instead of spending more time in Japan, my family and I went to Bangkok for a few days between. 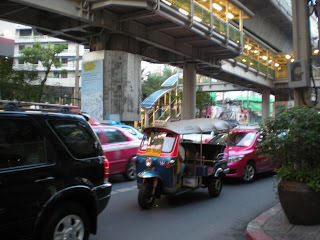 We were only there for a few days, so we only got to really see the main Bangkok sites. But it was one of the coolest places I’ve ever been. I can’t wait to go back to the area of the world and explore some of the other parts of Thailand and Cambodia. Bangkok was HOT, I mean really really hot. Luckily we were there in December… I can’t imagine what it must be like in the summer. 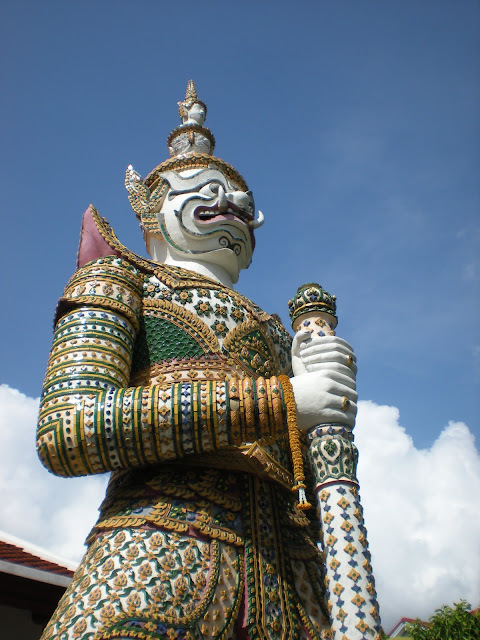 In addition, most of the temple require long pants or skirts so short shorts and tank tops weren’t an option. The first night I explored the area around the hotel One thing I had heard about Bangkok was that the traffic was crazy… and that was quickly confirmed. 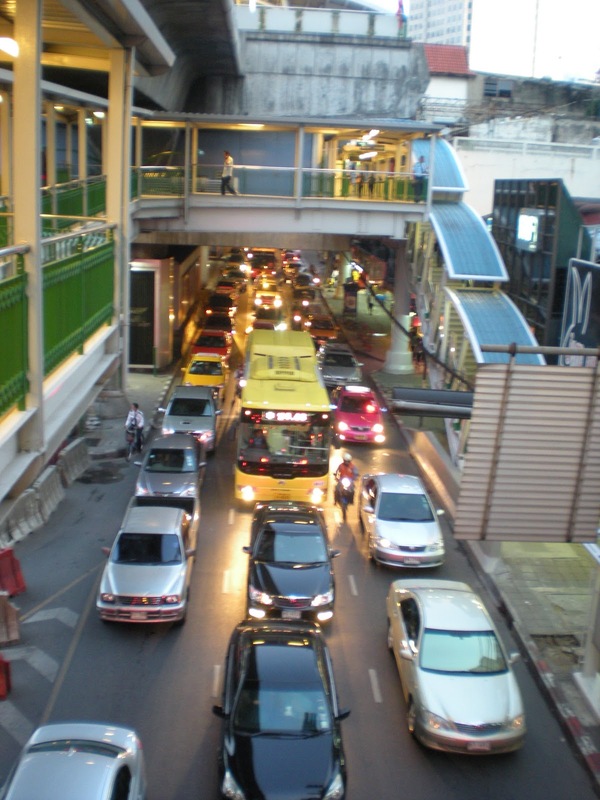 Bangkok actually has a pretty efficient public transportation system called the Sky Train which is useful to avoid all the cars. 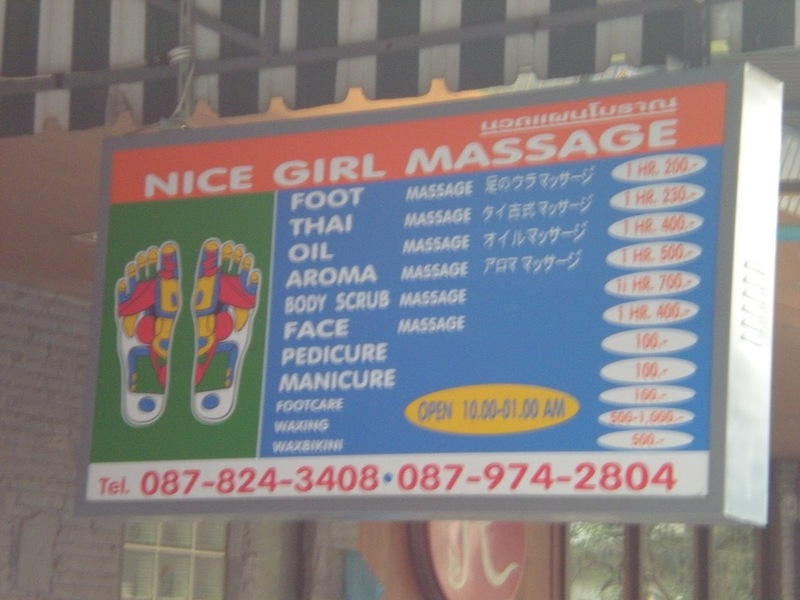 There are also lots of questionable Massage parlors. 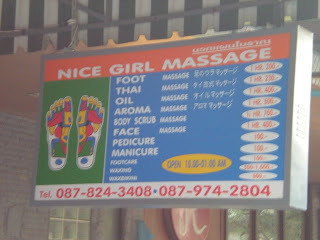 I actually did get a traditional Thai massage from a street side place and I was really sketched out. They take you upstairs to these individual rooms with mats on the floor. Luckily everything seemed to be on the up and up but being so nervous I probably didn’t really enjoy it. See what I mean about sketchy? 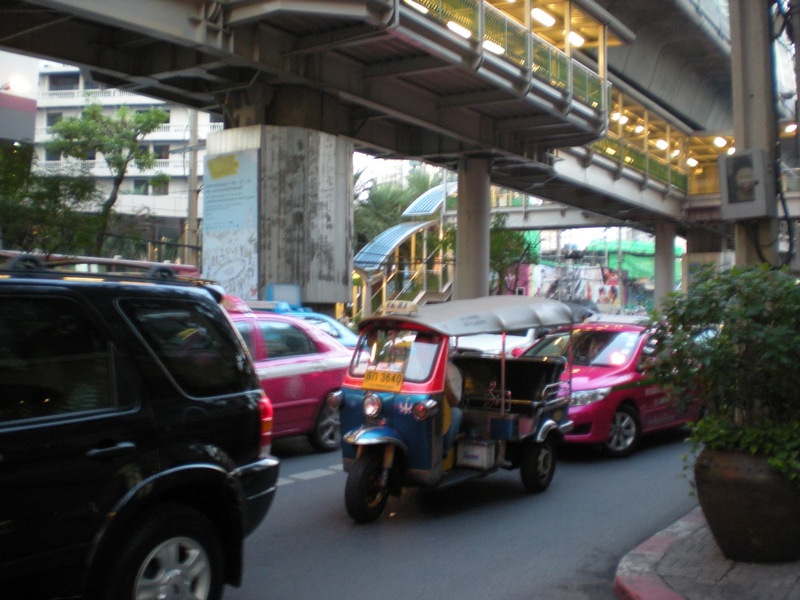 This entry was posted in Destinations and tagged Bangkok, Thailand. Bookmark the permalink.